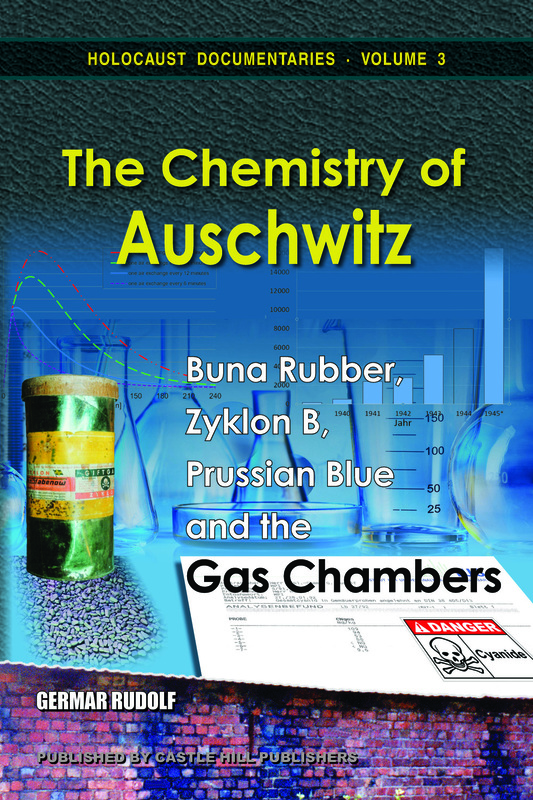 Auschwitz was a center of chemistry. The German chemical industry built gigantic factories for rubber, fuel, lubricants and methanol there, and the SS experimented with natural sources of rubber. But that's not what people associate with the name "Auschwitz." They think of gas chambers and Zyklon B, which are two entirely chemical things as well. The gas chambers of Auschwitz have been called the epicenter of human suffering. More human beings are said to have died a violent death there than on any other place on earth in the history of mankind. The biggest crime scene of history, in terms of its death toll, not only demands the utmost respect for its victims, but should also attract the most-intensive attention of forensic researchers to find out what exactly happened, and how. Or so one might think. Forensic research on Auschwitz, however, has always been controversial. Investigating the gas chamber mass murder is considered a blasphemous act, a way of disturbing the peace of the dead. While respecting the victims, whether of foul play or of circumstance, this documentary nonetheless tries to conduct Auschwitz research on the basis of the forensic sciences, where material traces of the crime and their interpretation reign supreme. Although it is generally agreed that no autopsy of any victim has ever been performed, most of the claimed crime scenes – the chemical slaughterhouses called gas chambers – are still accessible to forensic examination to a greater or lesser degree. So, how did these gas chambers of Auschwitz look like? How did they operate? What were they used for? In addition, the infamous Zyklon B can also be examined. What exactly hides behind this ominous name? How does it kill? And what effect has it on masonry? Does it leave traces that can be found still today? These and many other questions are thoroughly examined in this documentary. The horror of Auschwitz is meticulously dissected, and thus, for the first time, it really becomes comprehensible. This video documentary accompanies the book of the same title, which is Volume 2 of the series "Holocaust Handbooks." The transcript of this presentation, enriched by source references and links to more information can be found here. Subtitle file for the English version, not containing any text displayed on the screen. Subtitle file for foreign-language translations, including all text displayed on the screen. Please consider supporting the creator of this documentary for his efforts and for the injustices he has suffered (he was sentenced to 14 months' imprisonment for the 1993 German edition of the book accompanying this video) by making a donation. Details can be found on his website.